We contacted Maria Elena Muriel of “Birding Los Cabos” through her Cruiser friendly web site. She normally does earlier tours for land tourists, but was very willing to adjust her own personal schedule to accommodate late arriving “Cruisers”. Our ship arrived in Cabo San Lucas at 11:30 am, but as we have to tender in Cabo – it wasn’t until 12:30 pm until we reached the shoreline. Maria Elena Muriel was super patient and waited for us for over an hour, until we reached the port. As we were greeted, she immediately pointed out a yellow-crowned night heron that was roosting beneath the tender wharf. From there we knew we were going to have a great time, as Maria Elena Muriel’s passion for Los Cabos and the birds were quite evident upon our first greeting and sighting. 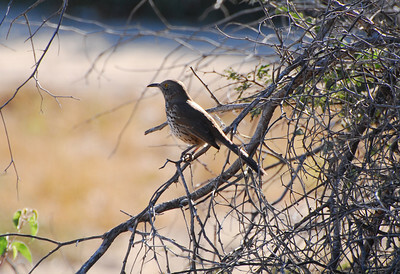 From the port, we were taken to a small park within Cabo where we searched for the endemic Xantus’ Hummingbird. Although the Xantus did not make an appearance, we saw many different species (many of them lifers), including the very beautiful Costa’s Hummingbird which perched quite near us, offering us a lovely photo session. From the park, we went to a small inlet off the beach which is blocked from public access. 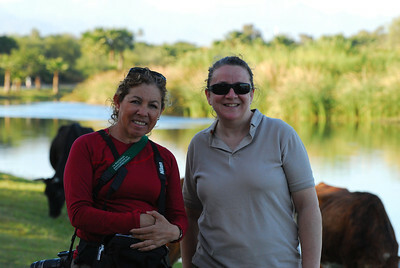 However, Maria Elena Muriel was able to get us in and we were on the look out for the White Ibis. Unfortunately, no Ibis’ this trek, but several shorebirds were identified including the Western Sandpiper – a migratory from Alaska. From the inlet, we ventured off to San Jose to track down the endemics, Gray Thrasher and Belding’s Yellowthroat. 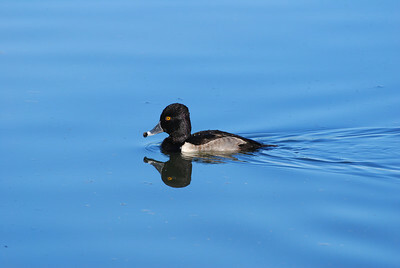 The San Jose Estuary was a really nice park-like setting, easy walking and many, many birds! We did see the Gray Thrasher (gorgeous bird!) and we heard the Belding’s Yellowthroat singing his song, although he did not come out for a visual identification. The entire afternoon was very well spent and we thoroughly enjoyed our visit with Maria Elena Muriel. We hope to return to Los Cabos one day and for sure, would recommend and contact her again for more birding!